Add our exclusive Turbulator Composite Chin Pad and you are ready to rip. 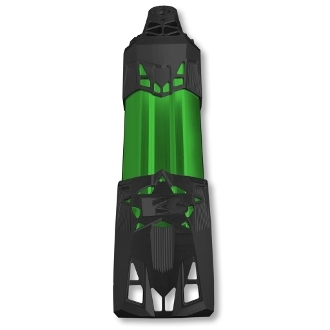 Streamlined and lightweight with 10mm of lightweight foam padding to protect against painful face plants, the Blowsion Turbulator Chin Pad is available in these popular watercraft colors: Green, Black, Blue, Red, Orange and White. One-off custom color special order requests also available with new designs and additional custom padding option coming soon that will be intense to say the least! Note: Blowsion Handlepole Breather Tubing Available Here. All Blowsion Handlepole products and components are 100% designed and manufactured in the USA.